My wife and son go through that much in a week. Side note – On the podcast “Things You Should Know” they had an entire segment about TP – on average it increases a reliable 2% a year in good tmes and bad..
And worse: Sears is bankrupt! When I was a kid, the Sears catalog went into the outhouse. It was printed on very thin, strong, and somewhat soft “kraft” paper, not the heavy, clay-coated paper used with coloured inks these days… assuming you can still find a mail-order catalogue at all! i preferred the Sears catalog over the alternative of a bucket of dried corn cobs. That was indeed quite interesting turn of events suddenly. Just for the fun, even many of the bookies stopped offering brexit bets, or paused for very unusual length of time at that point. That’s usually one of the best signs something systemic brewing on when the casino parlors go dark..
On national level it smelled like someone doing constant daily re-balancing act realized the threshold is here – it’s not worthy risking complete political realignment (public beyond ‘pizzed off’), i.e. loosing levers of power, so instead lets deliver the brexit now (before summer), and obviously readjust (con again) afterwards.. Very volatile times, looking in rear view mirror from say ~2025-7 vantage point, lot of things are going to change substantially. My suspicion is that we will be using rear view mirrors, if at all, for starting fires and perhaps long distance signalling by 2025-7. Let us hope that the global slowdown has not become irretrievably self-reinforcing and that the central banks’ return to ‘dovish’ policies can still stop the rot. Excellent review Harry, thanks – the market is telling us the truth, but it takes time. The fact is that growth has stopped and has been negative if you believe John Williams at http://www.shadowstats.com/alternate_data which conforms to my projections described in Chapter 13 of my book: The New Emergent Economy”. I propose that USA is already in recession (and has been ever since 2000) – just check out GDP figures published by John Williams at: http://www.shadowstats.com/alternate_data/gross-domestic-product-charts which is why the 95% are suffering a severe depression but the elite are fudging the stats and SNAP etc avoids the food queues. My timing is restricted to the 2020s because EROEI is driving the global economy to slow down quicker than expected. On the CBs note, I guess it was Farage, yesterday, who spilled the beans on Carney (BoE) ‘secretly’ with his entourage visiting the Brussels HQ in some sort of hasty negotiations trip there..
“Fulfilling the world’s growing energy needs summons images of oil pipelines, electric wires and truckloads of coal. But Michigan State University scientists show a lot of energy moves nearly incognito, embedded in the products of a growing society. “In this month’s journal Applied Energy, MSU researchers examine China’s flow of virtual energy—the energy used to produce goods and products in one place that are shipped away. What they found was that virtual energy flowed from less-populated, energy-scarce areas in China’s western regions to booming cities in the energy-abundant east. The fact that energy hitches a ride on physical transfers is what makes the measures of carbon used in carbon taxes completely false. Carbon taxes tend to send goods production to less industrialized countries. These countries tend to be bigger users of coal. The transfer of manufacturing very much stimulates all aspects of these economies, including road building and home building (with concrete homes, in the case of China). The outcome is completely the opposite of the intended result. “Argentina’s economy sharply contracted in the fourth quarter while unemployment rose, potentially hurting President Mauricio Macri’s approval ratings as he seeks re-election later this year. “The stakes in Turkish elections this month could hardly be higher, if the behavior of local investors is anything to go by. Households and businesses scooped up another $4 billion of hard currency last week, the most since 2012, driving their holdings to a fresh record. I am indebted to you again Harry – many thanks for the link on CLOs. Again it saves me time searching and I will add the link to my book footnotes. Cheers. Lots of ways the world debt bubble can break! Think of what would happen to the derivatives market in the case of wild currency swings. IEA expects according to Aspo Germany a supply gap of 35 MM barrels until 2025. 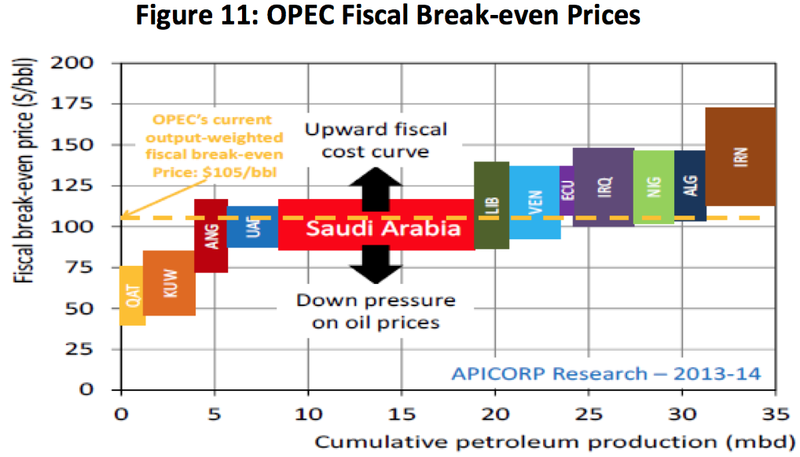 In the best scenario with huge investments they expect a gap of still 11 MM barrels per day. 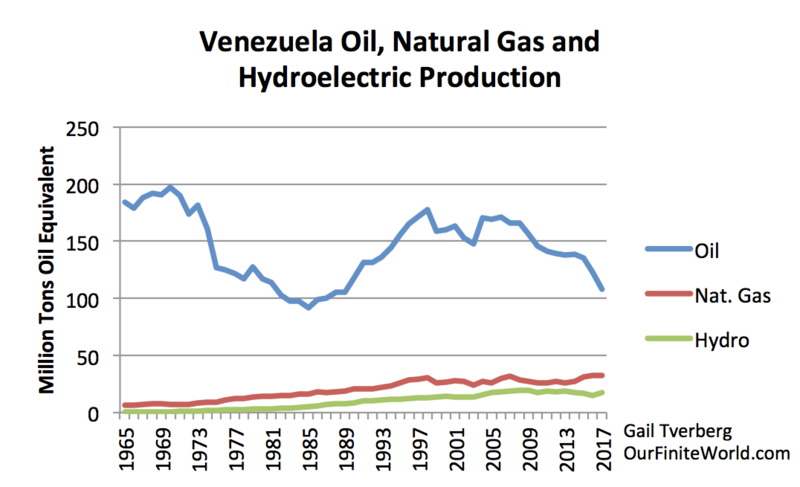 According to Forbes Venezuela’s highest-ever oil production peaked at 3.5 MM barrels per day (1998), double of the current output. 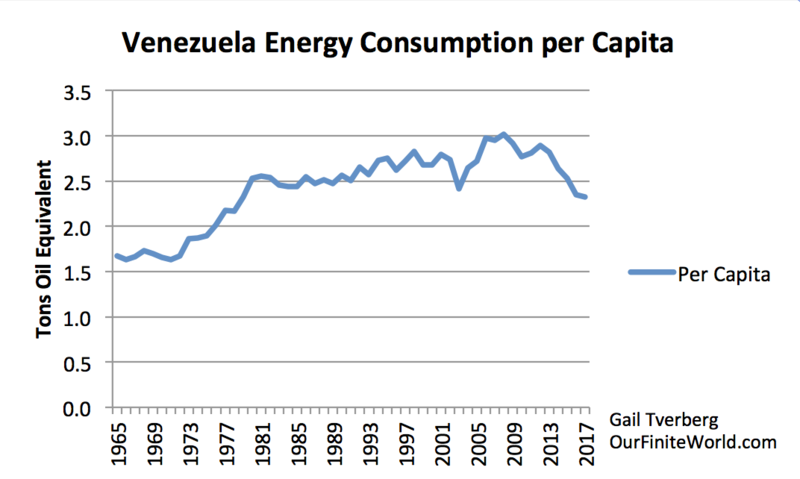 So it seems as if even with huge US investments in Venezuela the supply crunch can only be moderated but not avoided. I think that the idea of a “supply crunch” that most people have is wrong. In a networked economy, lack of supply can reveal itself as excessive wage disparity and collapsing debt bubbles. It looks like an impending recession or depression. The idea of a “supply crunch” comes from trying to model a multidimensional economic system in too few dimensions. Huge numbers of people believe these models, but they fundamentally are not correct. ASPO has been a leader in promulgating incorrect models. 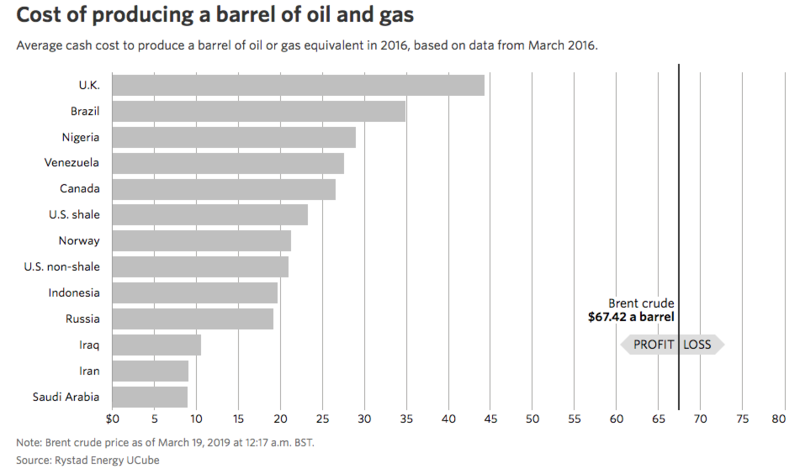 Of course, part of the confusion lies in the fact that Venezuela is part of a world economy. 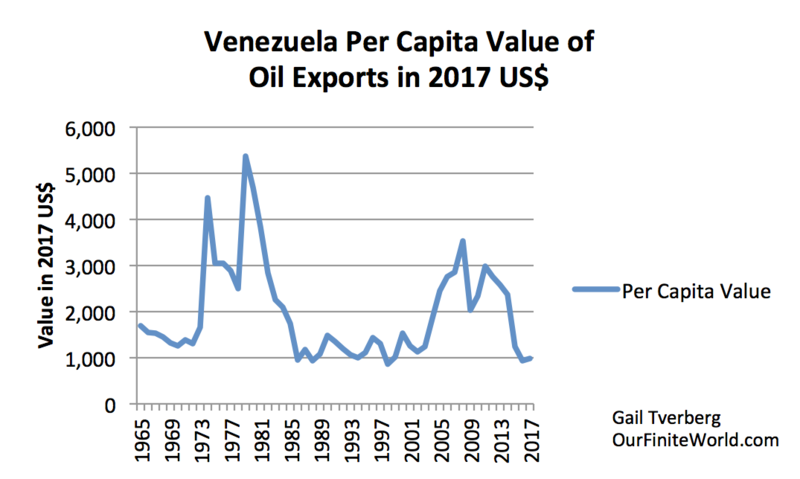 Even if the Venezuelan system is not sustainable, for a time, it can keep going based on the way the rest of the world is willing to supply goods and services that it cannot really afford. This, too, is part of the multidimensional system that it is impossible to model correctly. Economists simplify the modeling by assuming that the future will be like the past; all that is needed is curve fitting to past relationship, and that will provide the correct answer. That approach sort of works, for a while, but it misses turning points. Excellent points Gail, thank you, and I do agree with you and take the view that the economies of the world are, as you say, networked together in so many ways that they form a complex adaptive system, much like a natural complex organism or perhaps a weather system or the stock market. If this is the case, then they are subject to non-linear growth and contraction, rarely remaining in stasis for long. Complex adaptive system theory therefore applies here. On occasion, again you mention a tipping point, which in physics is a phase shift or critical point such as when water turns to ice or vehicles congest on a motorway for no good reason,- it happens all of a sudden. I feel that we are approaching such a point in the global economy, but ‘feel’ is all I have, I can’t support this feeling with modelling or calculations. http://www.shadowstats.com/ exposes this at his alternate data tab. And people do know, deep down, that their lives are not going on as well as the elite would have them believe. Even the Fed is guilty of sugar-coating their reports to keep a feel-good factor in play. I think this is all wrong and the people should be told the truth, regardless of the consequences, because it will happen anyway at some time so the sooner we can get through it the better, allowing populations to live at a standard comensurate with the natural constraints inherent in the world. Brexit is a classic example of our leaders being unable to fulfill their responsibilities which exposes their incompetence in glaring ways and their inability reflect the wishes of their electorate. After all this is what representative democracy is meant to be all about Or is this me just whistling in the wind – sort idealistic wishfulness? Excellent post. I agree especially with the last paragraph. People should be informed about where we truly and what we can expect. Moving to an island in the tree-less Far North counts as heroic, in my book at least! Brrr…. 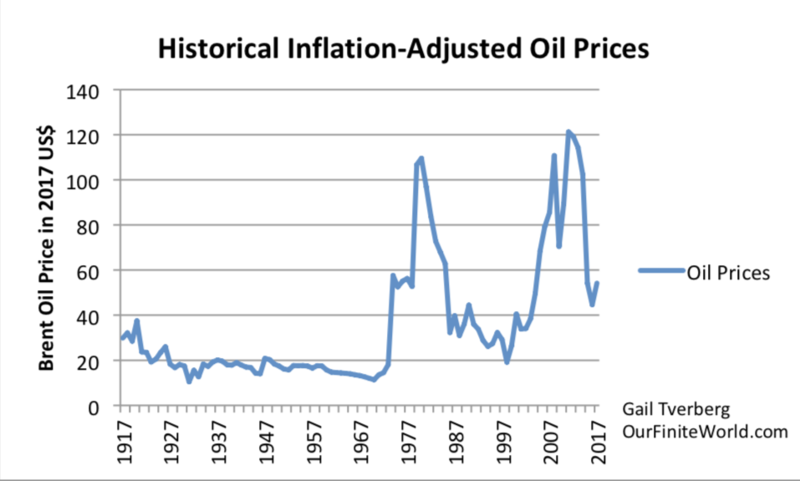 What proportion does the petroleum extraction “Non-conventional” with respect to the “conventional” oil? Spain has a level of responsibility for Latin American commensurate with the other colonial powers. But what can it do, or what can any of them do now, in their reduced circumstances, to help us to help them? “Cortez the Killer” is a song by Neil Young from his 1975 album, Zuma. It was recorded with Young’s band Crazy Horse. It has since been ranked #39 on Guitar World’s 100 Greatest Guitar Solos and #329 on Rolling Stone’s list of the 500 Greatest Songs of All Time. Peace is a theme of this song. From verse six: “But they built up with their bare hands, what we still can’t do today” indicates that even in the most barbarian times there was still peace, and in present day, as sophisticated as it may be, there is anything but peace. The Aztecs were peaceful, representing sort of a utopian nonviolent society. Cortez and the Spanish brigade used trickery to beat the Aztecs, people who had never committed any offensive acts towards the Spanish. The Spanish could represent the status quo society, completely antonymic from the amicable Aztecs. Ah, now that it an artist in the truest meaning..
“The Aztecs were peaceful, representing sort of a utopian nonviolent society. ” WHAT? From what I have read about the Aztecs, they were a very militaristic people, too bad you can’t ask the tens of thousands of their neighbors who were captured then killed in dedications to their temples & each year at the winter solstice as sacrifices to the “gods” to thank the gods for the return of the sun. They had racks full of skulls from past sacrifices, thousands of victims were taken to the tops of their pyramids, placed on their backs on a stone & their hearts cut out as a sacrifice to the “gods” & the bloody bodies cast down the blood soaked steps of those pyramids. Far from “utopian” or “nonviolent”. The Mayan were almost as bloody, they had their priests dance while wearing the skins of sacrificial victims. Only the Spaniards were worse in the magnitude of their killing but then they had better weapons, steel armor, horses & vicious dogs. The Aztecs sound like a great role model for the modern Greens led by the Cortez’s great great great great granddaughter, who seems determined to sacrifice and rip the heart out of everything that keeps most modern Americans rich enough that they don’t have to live in tents and hunt bison for a living. Incidentally, Neil Young also wrote a nice ballad about Elizabeth Warren! Depends what shade of green you’re talking about. And we all know we’re headed for a state of affairs where modern Americans will be lucky if they have any tents to live in and bison to hunt at all, and it’s not the fault of the greens, many of whom are in fact trying to prevent this eventuality. Sheila….calm down… It all depends on how one sees it…like so…. I’m not certain if Neil actually wrote the above about “peaceful” or what context…but the Aztecs, initially at least, did not harm Cortez or the Spanish and viewed them as God’s. This song is about Hernán Cortez, the Spanish conqueror of the Aztec Empire. The Aztecs lived in what is now considered Mexico, and Cortez had an army of 600 sail from what is now Cuba to the Aztec town of Tobasco (yes, where the hot peppers and the name of the sauce originally came from). The Aztecs thought Cortez was a god and bowed before him. They let his army roam free. Cortez, however, became wary of their good nature and took their leader hostage. He then captured and killed many of their people. He also unwittingly brought new diseases to the Americas, which the natives had no immunities towards. On top of all this, he built what is now Mexico City with slave labor. He returned to Spain a hero. Great post & I’m chill, but still scared to death at what I see coming. Yes, the Aztecs thought those Spaniards could be the return of their “god” Quetzalcoatl & not being stupid, they wanted to “feel” out those strangers, by the time they realized they were just humans, it was way too late. I’m glad we “civilized” people don’t burn people at the stake or hang them because we believed they were “witches” or unbelievers but the veneer of civilization is thin & will soon be lost when times get hard for all & thousands more migrants fight to enter the country illegally. There have been large crop loses in the central states of the US, thousands of cattle & their calves have been lost, even crops in silos were destroyed, we can expect food prices to rise this summer as flooded fields can’t be planted. I don’t understand why the prairie states are called the “mid west” when their no where near the west & certainly not in the middle of the west, their not even half way to the west. How on earth did these central states get to be called the “mid west”? I won’t call them the “mid west” instead I call them the central states, the prairie states or the grain belt. Yeah, I’m picky, I like names that make some sense. Outside, I can here the birds singing, the sound of spring. I wonder how much longer will we hear birds singing? Hi Ms Chambers, sure it’s a messed up social setup…Hey, posting this cool version of Neil’s song with pictorial outtakes and lyrics…the original soundtrack version. Ya, he took artistic license, but it was a symbolic backdrop, I suppose..
You planted in the Central States are you? Man, taking a beating weather-wise. Beautiful region and to think I had a romantic notion of settling in Winona Minnesota! Boy, I dodged a bullet going there! Nice place to visit…Four months out of the year! Betcha the Bluffs will see another snow storm or two before May! Poor me, toasting in South Florida …sunny 🌈, warm and lovely. Too nice and now beyond crowded….time to head out of Dodge…before Cortez lands…. When people came up with the term “Middle West” or “Midwest”, the US was much smaller geographically than it is these days. The western frontier moved progressively further west as the country expanded, but for a long time what is now the continental US was envisaged as the civilized East and the wild West with a region between them that was west of the civilized part of the country but not quite as far west as the untamed wild West. The Midwest was populated by small farmers living in little houses on the prairie and cowboys who had sent the local injuns packing, and occasionally visited by new school ma’ams, carpet baggers and snake oil salesmen. The Aztecs thoroughly merited extermination. The Spanish were very vulnerable to Aztec sling-shots though, which could concuss even an armoured man. A burial pit containing the bodies of captured Spaniards who were sacrificed was dug up a few years ago, and to everyone’s surprise it contained lots of native Indians, from the tribes who had allied with the Spanish in order to bring the Aztecs down, so much were they hated. Without the native allies, they wouldn’t have survived. The Serbs also merit extermination for causing World War I.
I think you are overstating the Serbs’ culpability and ability to get Queen Victoria’s grandchildren to go at it hammer and tongs at each other’s empires. The Aristocracy always need whipping boys, and the Serbs make excellent whipping boys. BTW, don’t remember reading the Aztecs inviting Cortez and his men as Guests! During the reign of King Montezuma II, the Aztecs had seen several bad omens. According to Aztec religion, these omens meant that something bad was going to happen. There were eight bad omens that were recorded later by a Spanish missionary. And …Cortés arrived with around 500 men, 16 horses, and some cannon. He founded a small settlement that would eventually become the city of Veracruz. He also began to get to know the natives. He brought along an American Indian woman named Dona Marina who worked as his interpreter. Cortez created alliances with some of the local tribes including the Totonac and the Tlaxcalans. Cortés became worried that some of his crew would steal his ships and desert him so he sunk his fleet before marching to Tenochtitlan. After Montezuma II was killed the Aztecs elected Cuauhtemoc as their new king. Cortés eventually had him executed. The Aztecs were severely weakened by diseases that the Spanish brought such as smallpox, influenza, and malaria. Over time, around 80 percent of the people living in the Valley of Mexico died from these diseases. Cortés founded Mexico City on the ruins of Tenochtitlan. Today it is the capital of Mexico and one of the largest cities in the world. Yep, History is written by the Victor’s…God Bless Spain! Why did the Aztecs thoroughly merit extermination? Because they did things like ripping people’s hearts out to sacrifice to their gods? If so, what about the Europeans of the colonial era, considering what they did around the world? The misdeeds of the Aztecs were at least limited to their turf. You see, what matters is that “both sides have faults”. The early Christians condemned the sexual freedom enjoyed by the Roman elite, which was anti-liberal/feminist. Therefore Diocletian’s persecutions were somewhat justified. At least europeans are decent people. The Aztecs would have had you on the chopping board pretty quick, so why defend them? I take your point though; but, on the whole, the whole colonial period was nothing compared to what the natives were doing to one another with gusto when the Europeans arrived: for instance, the life of a peasant in Mughal India was sheer hell as the empire collapsed, and the Brits did (despite themselves) actually improve things in that respect. Empires rose and fell long before Europeans arrived in Asia and Africa. Ever heard the saying common in Iraq when the Brits left: ”Wicked Imperialism has gone! Now WE can crap in our own back yard!’ Iraquis laughed because they knew the truth of it. Now if they only burned victims at the stake, that would be acceptable in the eyes of the Spanish? A: Heresy was an opinion about the teaching of the Catholic church, which was condemned by the church as inconsistent with it. From the early 11th century, many people accused of heresy were burned at the stake as a result. In 1022, people who were considered heretics were burned for the first time since antiquity. Q: How many people were burned for being heretics? : Is heresy comparable to the witch craze? A: Yes – no one now believes there’s any basis in the fear of witches. We know it’s something dreamt up. I say it’s the same with the Cathars. In the case of witches, between the 15th and 18th centuries people were put to death all over Europe, usually by burning, on the basis of a belief that they were agents and worshippers of the devil. the case of witches, between the 15th and 18th centuries people were put to death all over Europe, usually by burning, on the basis of a belief that they were agents and worshippers of the devil. YEP, WONDER WHAT THE NEXT FANTASY will be to exterminate others? While not exactly “extermination,” people are being thrown in jail for leaving food and water out near the Mexican border. My crystal ball won’t tell me exactly what will happen, but I’m betting it will have something to do with immigrants. As the twin pincers of resource depletion and climate change kick in, people are going to be moving all over. Come on, nobody truly believes that hatred of an empire justifies genocide. Besides, the Indians who sided with Cortes were just looking for more resources and wrongly believed the Spanish would keep their end of the deal. Perhaps but then going by that logic, the Germans after WW2 should also have been exterminated for what the German Nazis did. The Russians too deserved extermination for what Stalin did to the Ukrainians. The Americans deserve extermination for what we did to the native peoples. Most of us have skeletons on our closet we would rather forget. Hit-ler was an Austrian, Stalin was a Georgian, and everyone else was just obeying orders. So that lets the Germans and Russians off the hook. Americans are nice folks but unfortunately, they are the most propagandized people on earth according to no less an adept than Gore Vidal, so I guess we can commute their sentence on the grounds of diminished responsibility. Their sin is being Americans and it is also their punishment. And given the above precedents, we can hardly condemn the Aztecs for being a bloodthirsty lot. The Spanish did the right thing in civilizing them, Christianizing them, and turning them into the Mexicans we know and love today. However, Mexico, Central America and the Caribbean is still overall the most violent region on Earth outside of actual hot war zones. Whether this is due to the people’s genetics, the climate, the Aztec Mayan cultural heritage, the Conquistadors, the Church, the United Fruit Company, the poverty, or to all the tortillas, hot chilly peppers and hallucinogenic mushrooms they eat is anyone’s guess. Skeletons in cupboards notwithstanding, most of us aren’t exactly Jeffrey Dahmer.